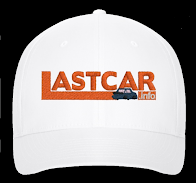 LASTCAR.info: Get Your 2013 Updates For The First Two LASTCAR Books! - Book Three Coming December 3, 2013! 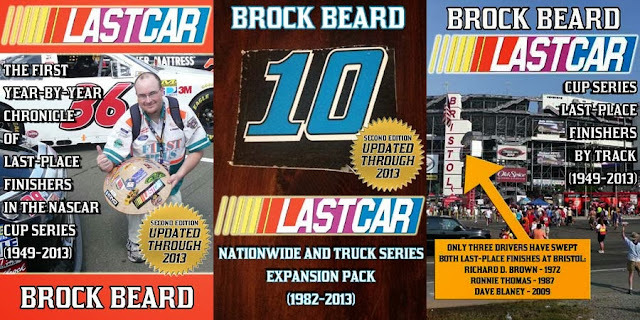 Get Your 2013 Updates For The First Two LASTCAR Books! - Book Three Coming December 3, 2013! 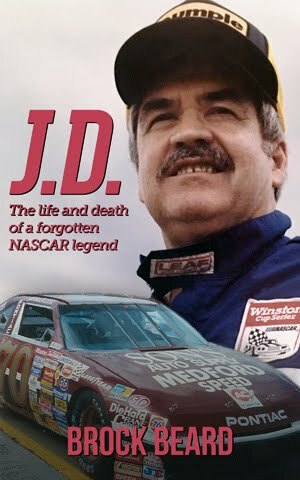 First of all, as some of you may have noticed, both of my LASTCAR books - the Cup Series Chronicle and the Nationwide and Truck Series Expansion Pack, have now been updated with current 2013 statistics! This includes not only articles for 2013, but updates and corrections to the older statistics in both books. 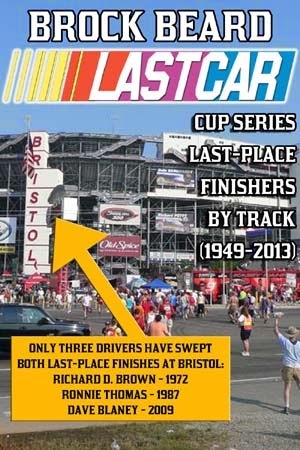 After all, as you saw here, several last-place records were set this past season! **For those of you who have purchased either book, you do not have to purchase the books again! Instead, you will automatically have access to the updated version of that book, free of charge. If you have purchased your book on Amazon, your digital file has already been automatically updated. If you have purchased your book on Apple, Kobo, Barnes & Noble / Nook, or any other website, your book should either already be updated or will be updated very soon. These sites distribute my updates slower than others, so I apologize for any delay. You will notice that these books will again be updated for free at the end of the 2014 season! **If you have not yet purchased either book, you can buy your copy for $3.99 each at any of the links below. I would recommend getting yours at Amazon or Smashwords since they update the fastest. Once you do, you will also be able to get free updates for your book(s) in 2014! If you have any questions or concerns, please let me know in the comments or by e-mail at brockbeard@gmail.com. 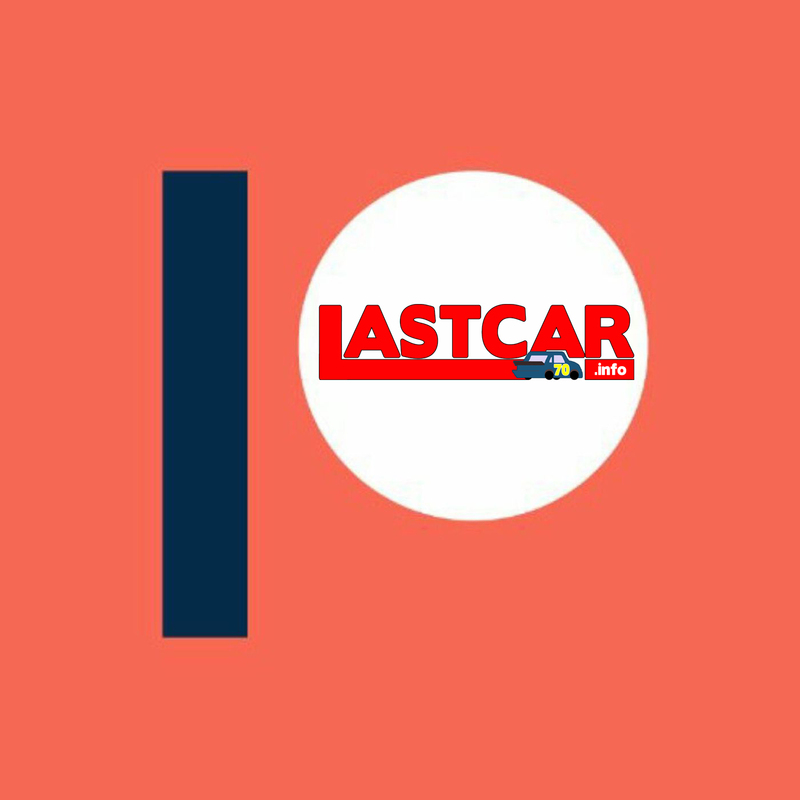 Secondly, I am thrilled to announce that my third LASTCAR book will go on sale on Tuesday, December 3! 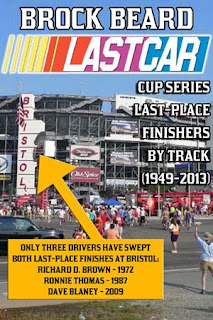 The book is called "LASTCAR: CUP SERIES LAST-PLACE FINISHERS BY TRACK (1949-2013)" and will contain even more last-place statistics. This book, like the previous two, will also have free updates for purchasers in 2014! 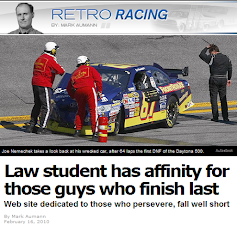 Stay tuned to this website and my Twitter @LASTCARonBROCK for more details!